We have a special offer for our loyal Packers fans. For one week only, take advantage of our special offer on Packers tickets. First, visit our Ticket King website and check out our inventory. Take $20 off your ticket order when you use the discount code "Lambeau" at checkout. We can ship your tickets overnight, or arrange to have them picked up in our Milwaukee or Green Bay offices. 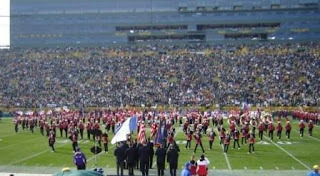 Our Green Bay office is just yards from Lambeau Field, and we have a drive through window for game day customer pick up! Happy Holidays from Ticket King.